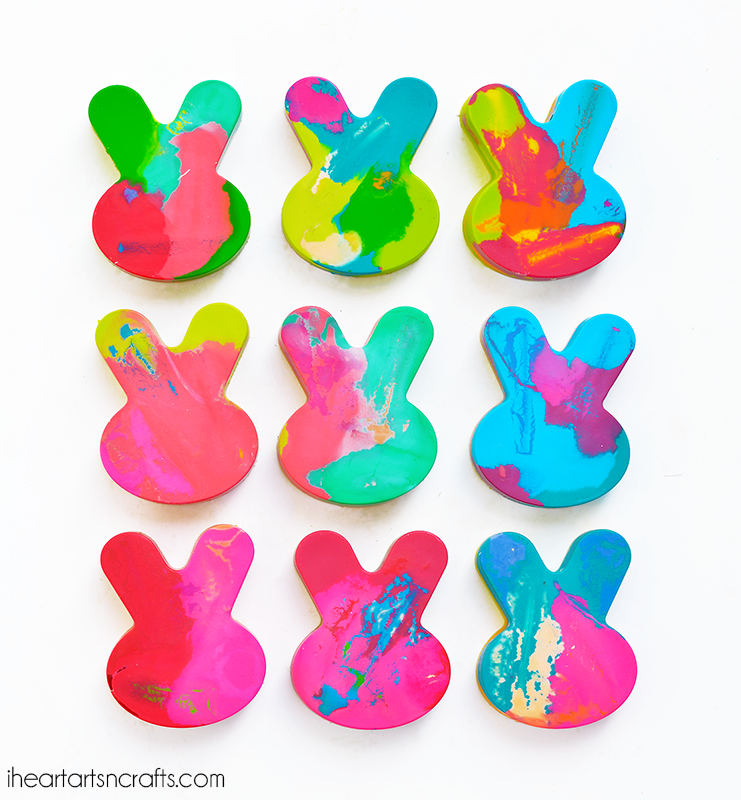 Today I’m sharing a super easy craft and inexpensive gift idea for Easter! 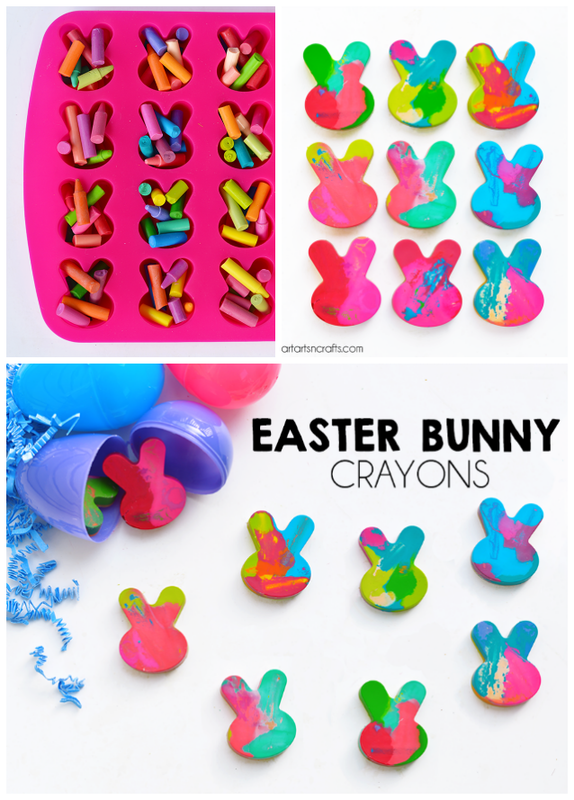 If you’re looking for some non-candy Easter egg fillers these Easter Bunny Crayons are the perfect alternative! You can buy some cheap crayons to use for this activity or recycle those broken crayons you have laying around the house. First preheat your oven to 350*. 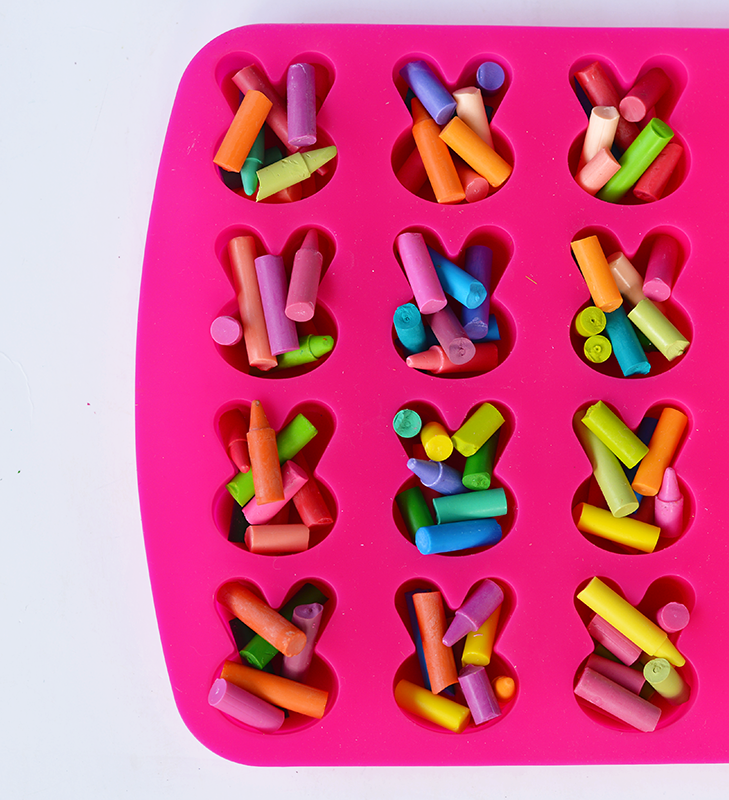 Take your old crayons and break them up into smaller pieces. 2. 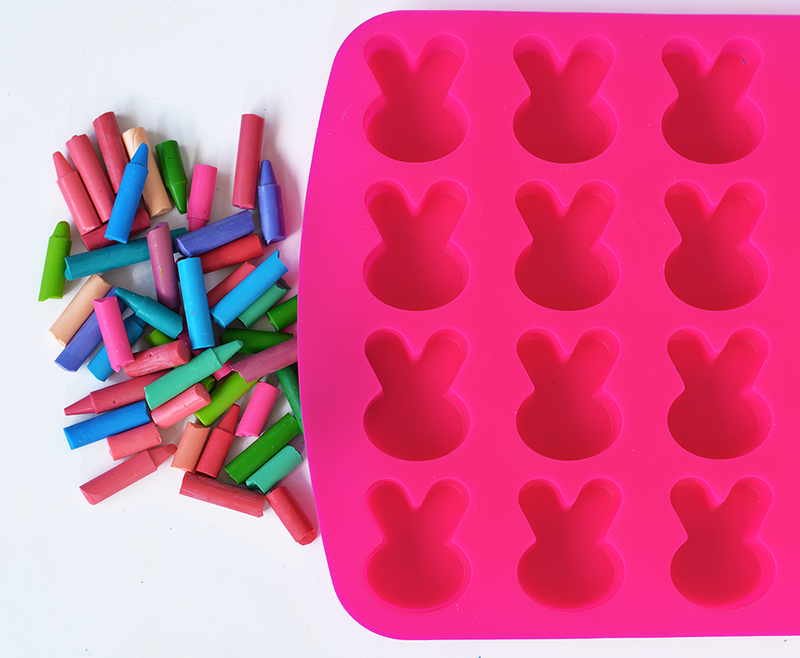 Fill the bunny mold in with your broken crayons. You can also sort the colors if you’d like your crayons to be one shade. We wanted bright rainbow crayons for ours so we mixed the colors up. 3. Bake them for 12 mins. Depending on the thickness of your silicone mold the timing can vary, just keep an eye on it and as soon as you see the crayons are melted take them out. 4. I let ours cool for a few minutes on the counter and then stuck them in the fridge for 30 mins. 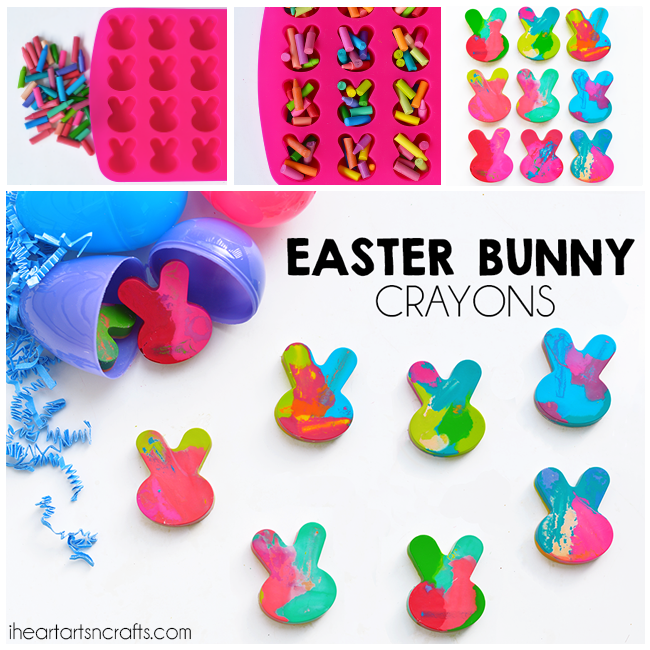 Once they’re cooled plop them out of the mold and your can use them in your Easter eggs or wrap them up with a gift tag.